F or more than a century successive US and UK governments have sought to thwart nationalist, socialist and pro-democracy movements in the Middle East. 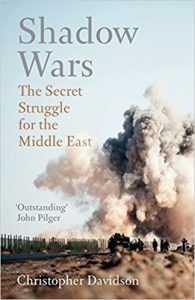 Through the Cold War, the ‘War on Terror’ and the present era defined by the Islamic State, the Western powers have repeatedly manipulated the region’s most powerful actors to ensure the security of their own interests and, in doing so, have given rise to religious politics, sectarian war, bloody counter-revolutions and now one of the most brutal incarnations of Islamic extremism ever seen. This is the utterly compelling, systematic dissection of Western interference in the Middle East. Christopher Davidson exposes the dark side of our foreign policy – dragging many disturbing facts out into the light for the first time. Most shocking for us today is his assertion that US intelligence agencies continue to regard the Islamic State, like al-Qaeda before it, as a strategic but volatile asset to be wielded against their enemies. 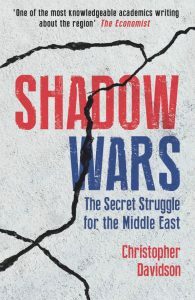 Provocative, alarming and unrelenting, Shadow Wars demands to be read – now.